The timeless elegance of the Courthouse Restaurant (c1853) has long held a tradition of providing the most beautiful weddings and receptions. Imagine your guests indulging on our award-winning cuisine and enjoying five-star service. Located on magnificent Moreton Bay overlooking the islands, the Courthouse is an absolute waterfront property with spectacular views, beautiful ambiance and historical character. Welcome to the Courthouse Restaurant. I would like to congratulate you on your engagement and personally thank you for considering The Courthouse for your reception. Today the Old Courthouse Restaurant (c1853) is a property that has long been a tradition for the most beautiful Weddings and Receptions. From timeless elegance to lavish celebrations, the Courthouse is yours to transform as you wish. Imagine your guests indulging on the award winning fine dining standards of The Courthouse Restaurant. Located on magnificent Moreton Bay overlooking the islands, it is unsurpassed for the spectacular views, the quality of cuisine and service, and the ambiance and character of the historical property. 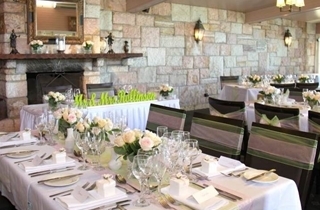 Australia’s No 1 restaurant reception venue and its long standing reputation is just a viewing away from your perfect Wedding Day. The Restaurant caters for up to 116 guests and when combined with the adjoining Courtyard and Patio areas will accommodate up to 200 guests. Welcome to the Courthouse Restaurant. I would like to congratulate you on your engagement and personally thank you for considering The Courthouse for your reception. Today the Old Courthouse Restaurant (c1853) is a property that has long been a tradition for the most beautiful Weddings and Receptions. From timeless elegance to lavish celebrations, the Courthouse is yours to transform as you wish. Located on magnificent Moreton Bay overlooking the islands, it is unsurpassed for the spectacular views, the quality of cuisine and service, and the ambiance and character of the historical property. Australia’s No 1 restaurant reception venue and its long standing reputation is just a viewing away from your perfect Wedding Day. Awarded Queensland’s No. 1 restaurant reception venue and Australia’s No. 1 restaurant reception venue for 2011 and 2012 by the ABIA. 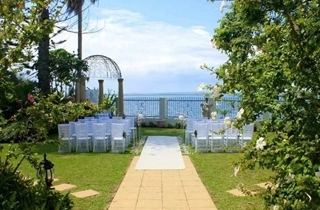 The Waterfront Gardens are available for your wedding ceremony or pre-dinner mingling; whilst the entire outdoor areas are available for up to 250 guests for a cocktail style reception.